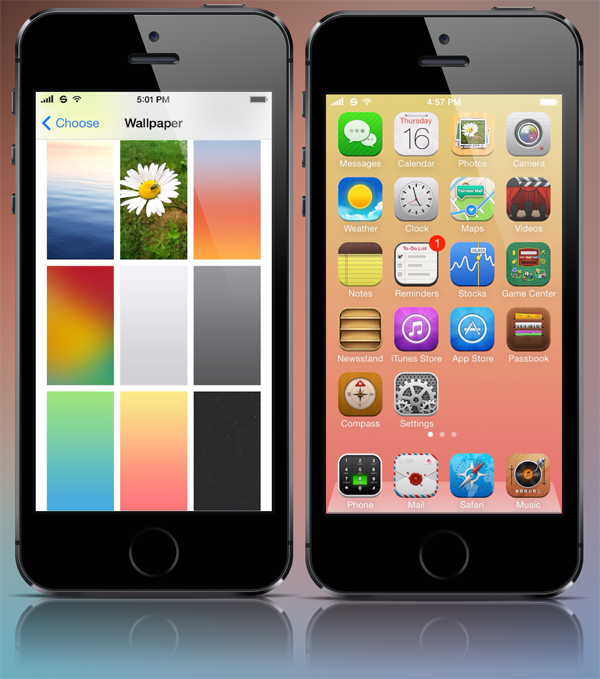 With the recent update and release of WinterBoard for iOS 7 and update to Cydia Substrate, it was a matter of time till we started to see an influx of great themes and tweaks for iOS 7. 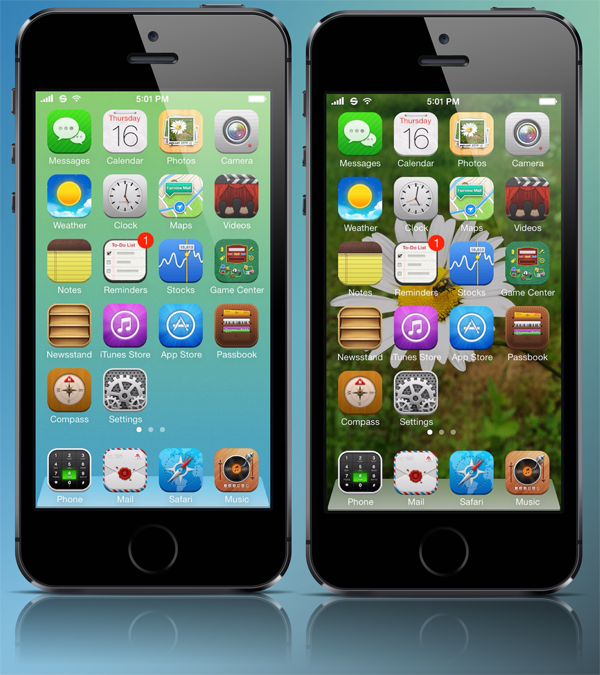 And Ayecon for iOS 7, which was teased by the creator of the theme – Surenix – on a number of occasions has finally been given the green light and is now available for download. We’ve got more details right after the break! 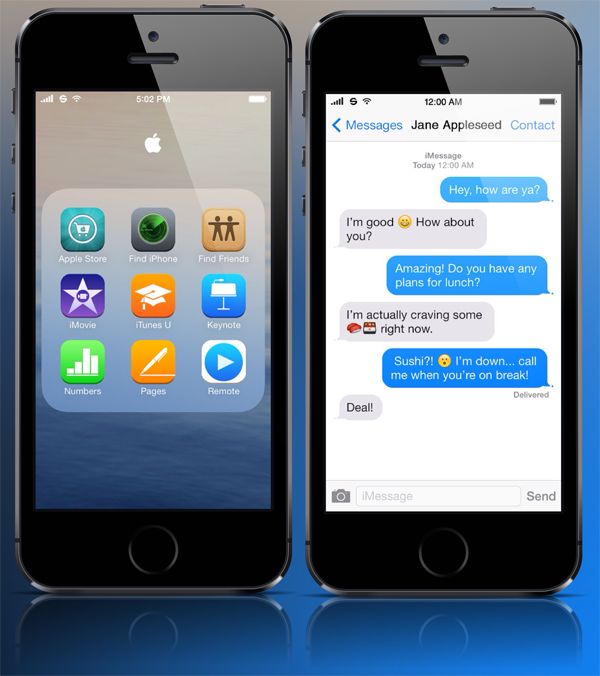 Ayecon has been a benchmark theme for jailbroken iPhone and iPad devices, and serves to add a mile more of details to the UI elements of Apple’s famed mobile OS. Not that iOS is, in any way, not aesthetically pleasing to look at, but Ayecon for iOS 7 aims to take things a little further. Available to download right away for jailbroken users from Cydia, the new version of Ayecon overrides the UI elements of iOS 7 to make them, well, more pleasing to look at. That’s the whole point, if you’re a seasoned iOS themer. You get the drill, right? Right. As we reported a few days back, the new Ayecon for iOS 7 theme features skeuomorphic design elements, which Apple buried 6 feet in the ground with the release of iOS 7. But don’t get us wrong here, there has been great amount of work put-in in designing the theme, and if skeuomorphism is your thing, you’ll love this. 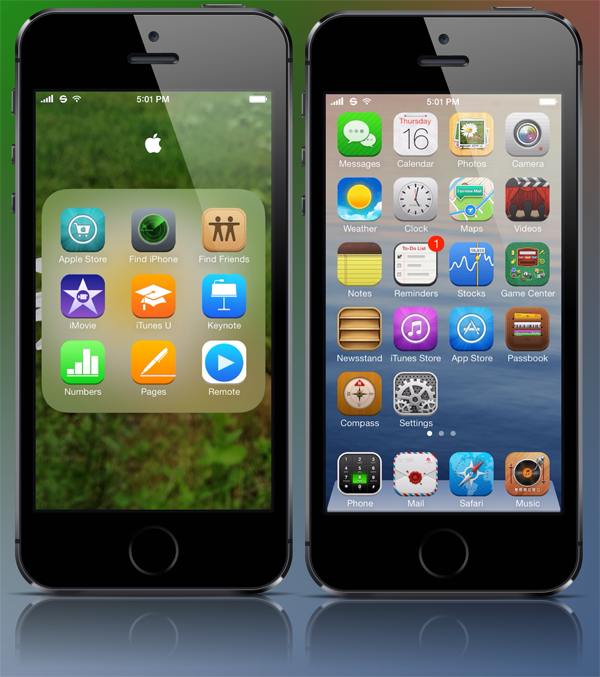 But in our personal opinion, Ayecon for iOS 7 should’ve followed the more plain and flatter look of iOS 7 in general, and should have rather improved on the groundwork which Apple had already laid down with the release of iOS 7. So, what do you get once you part with your hard earned cash? First and foremost, you get a major facelift, which is a given. Furthermore, you get the classic iOS dock back with this release. Apart from that, you get more than a 100 redesigned icons, 9 wallpapers to match the overall theme and new status bar icons. But all this comes with one thing in mind: to retain the general look and feel of iOS. And to add a little more flair to the party, the SMS bubbles also get a lick of paint, for good measure. If you’re an advocate of skeuomorphism and loathe flat design, then Ayecon is for you. 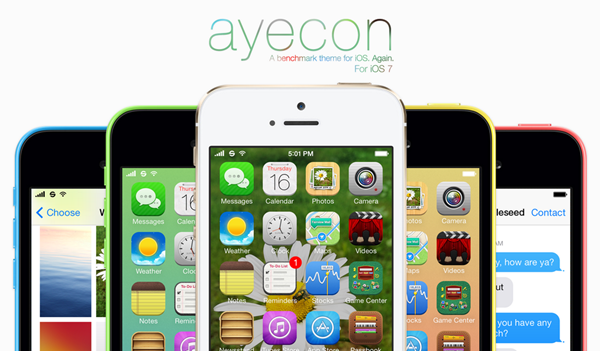 Ayecon for iOS 7 is available to download from the BigBoss repo in Cydia and costs $2.99 for new users, and is available as a free upgrade to those who purchased Ayecon for iOS 6. Keep in mind, it’s available to iPhone users currently.